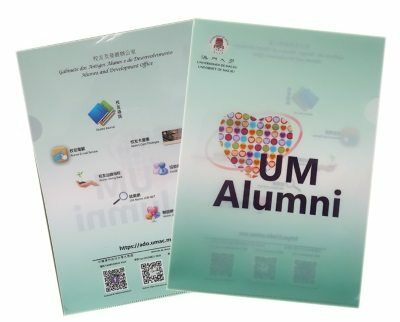 University of Macau (UM) Alumni and Development Office (ADO) is conducting a career monitoring survey targeting at UM alumni who graduated in the year of 2017. Your participation in this questionnaire will help UM to understand the employment and further study status of UM graduates after 1 year of graduation. We appreciate if you could spend some time in filling out the on-line questionnaire for us via the enclosed link on or before 16 March 2019. The information you provide in this questionnaire will be kept confidential and used for statistical analysis only. As a token of appreciation, a souvenir will be delivered to you upon completion of the survey. Should you have any enquiries or you do not want to receive any survey invitation, please contact Alumni and Development Office (Tel: 8822-4244) or email to ado_survey@um.edu.mo.